Final Phase of New Cotswold Townhomes Starting Construction ! Gorgeous Pinehurst neighborhood.. minutes from the Village . This house will have it all!! 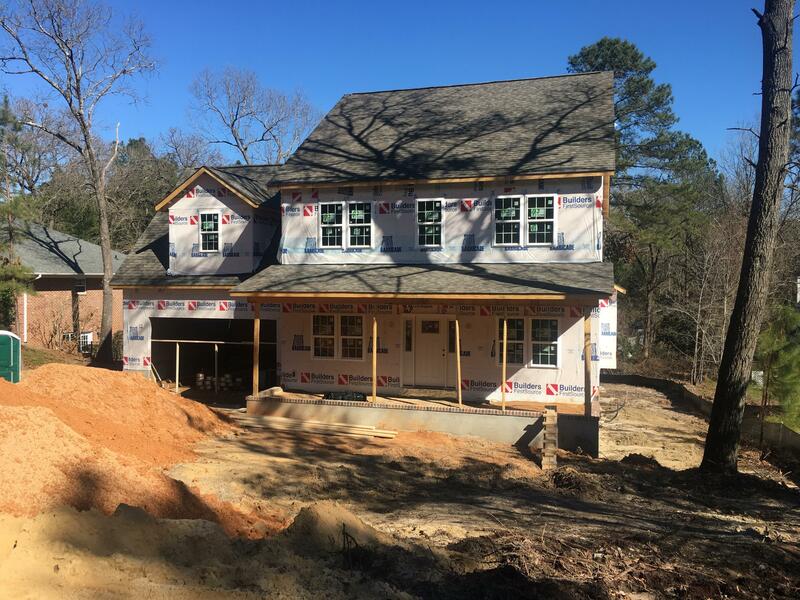 Brand new home being built with have 4 bedrooms with large Master suite offering gigantic WIC, beautiful bathroom, another bedroom has a full bath attached as well for a great set up allowing tons of privacy and space . 3rd floor rec. room as well! Open floorplan with beautiful kitchen overlooking into living room, huge deck for entertaining with this Spring coming our way. If you hurry there is still some time to make some color selections if they choose to. © 2019 Multiple Listing Service of the Mid Carolina Regional Association of REALTORS® All rights reserved. The data relating to real estate for sale on this web site comes in part from the Internet Data Exchange Program of the Mid Carolina Regional Association of REALTORS® MLS. Real estate listings held by brokerage firms other than Moore County Realty LLC are marked with the Internet Data Exchange logo or the Internet Data Exchange thumbnail logo and detailed information about them includes the name of the listing brokers. The broker providing these data believes them to be correct, but advises interested parties to confirm them before relying on them in a purchase decision. Information last updated on 2019-04-23.